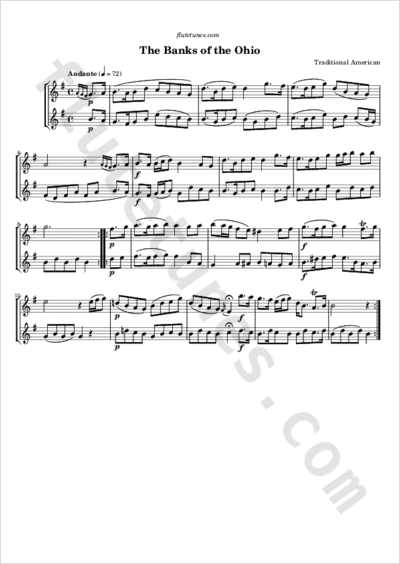 This flute duet is taken from Blake's Young Flutist's Magazine, published in Philadelphia in 1833. It is unclear whether this tune is related to the popular ballad titled “The Banks of the Ohio”. Both are believed to have originated in the early 19th century, but the melodies don't seem to have a lot in common.